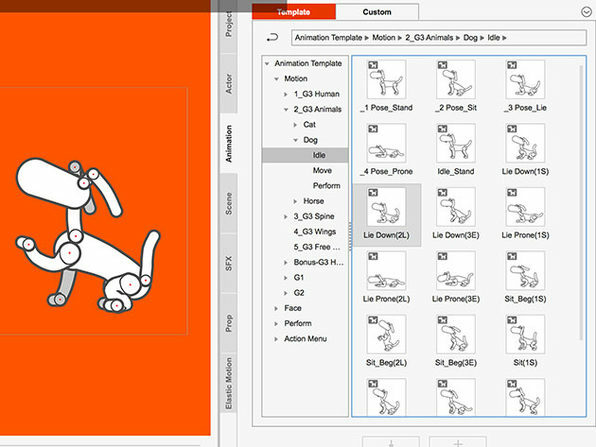 CrazyTalk Animator Pro is the world's easiest 2D animation software, enabling all levels of users to create professional 2D animations with minimal effort. With CTA3, anyone can instantly bring an image, logo, or prop to life by applying a huge range of motion templates to innovative, creative characters. Built with 2D character templates, valuable motion libraries, a powerful 2D bone rig editor, facial puppets, and audio lip-syncing tools, CTA3 gives users unparalleled control when animating 2D talking characters for videos, web, games, apps, and presentations. It's on sale for $79.